Bushmaster 90036: Bushmaster's ACR (Adaptive Combat Rifle) has been updated to take on new challenges, improving on functionality and modularity. With tool-less disassembly allowing quick caliber change options, the ACR is one of the most field adaptable MSR platforms. The AR Pistol configuration has QD sling mount reciever endplate, and an optic-ready AAC Square Drop modular handguard system which accepts KeyMod type accessories. 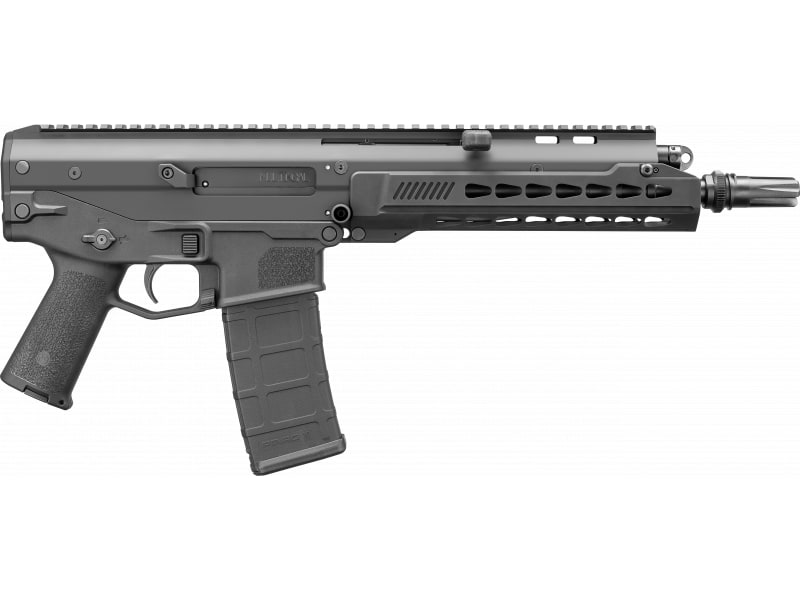 This updated ACR has an FNC-treated 4150 CMV steel barrel, fully ambidextrous controls, and features a full time ambidextrous charging handle. This AR Pistol in 5.56 NATO has a black finish, 10.5" barrel with an AAC Blackout flash hider allowing rapid attachment of AAC silencers, and includes a 30-round Pmag.